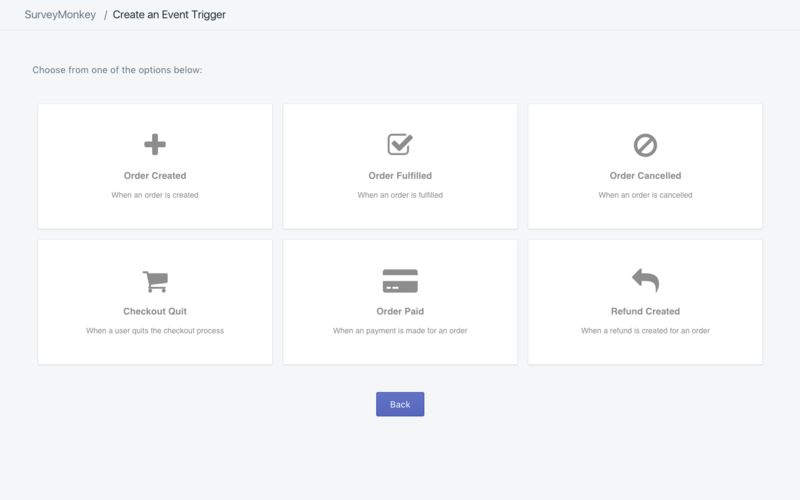 Trigger surveys to send to customers based on certain events. 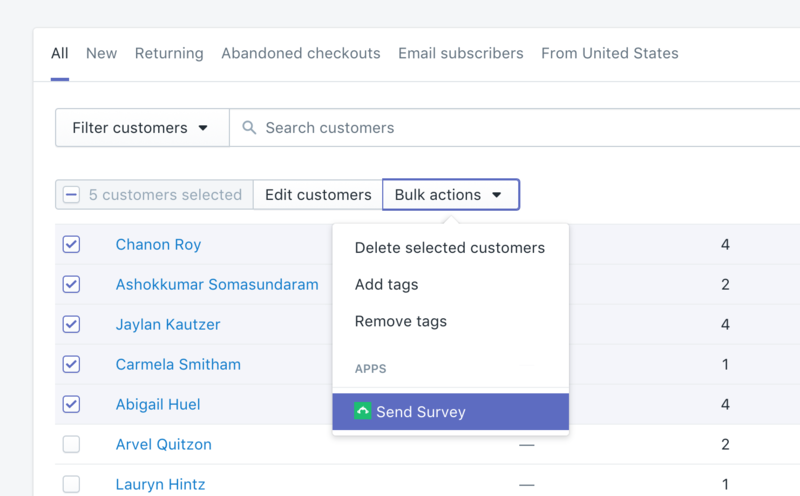 Effortlessly gather feedback on your purchasing process (or even your product). Send surveys by order or customer. Target unhappy customers to reduce churn, and gather feedback from your biggest buyers. 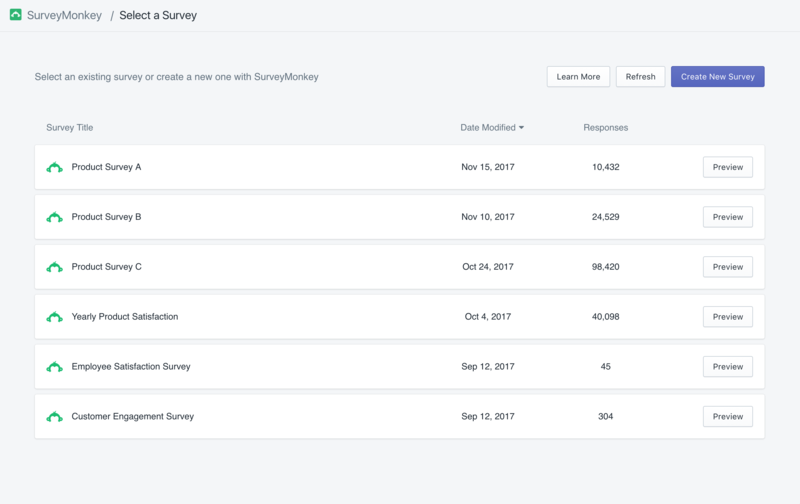 Go to the integration page and authorize Shopify to connect with SurveyMonkey. Select a survey to send or create a new one. If you need a bit more info, check out our Help Center.